Google “Store Visits,” which was once only available to large advertisers, has now been updated to track for small local businesses. Google announced last week that it will begin rolling out this feature and will be reporting on a per-store basis by the end of the month as part of the new Google Ads platform. So, what does this mean for marketers? Historically it has been very difficult or impossible for businesses to track offline actions prompted by online ads. With about 87% of all US business transactions happening offline, there is a compelling reason to be able to track offline “store” conversions from online ads, at the very least to support online ads as part of the advertising mix with the more traditional TV, radio and print advertising. With the new per-store reporting, Google Advertisers will now be provided with an estimate of how many people actually walk through a local businesses door, as well as other actions that were not previously trackable by Google AdWords. With this drastic expansion of offline conversion actions, you as a marketer will be better able to determine just how effective your online ads are. 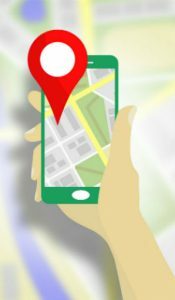 Advertisers must ensure business locations are registered and verified within a Google My Business account and linked with an associated AdWords account along with the use of location extensions. This new ad functionality works for both Search and Display ads. Additionally, display advertisers will be able to see offline view-through conversion metrics that will track ad views, without clicks that result in in-store visits and other offline actions. This tactic could lead to a significant “ramp-up” of very low-cost, locally targeted display advertising for markets that have not traditionally used online advertising. It will be interesting to see how local online advertising will fragment local media advertising markets and provide new competition to local TV, radio and newspaper advertising.